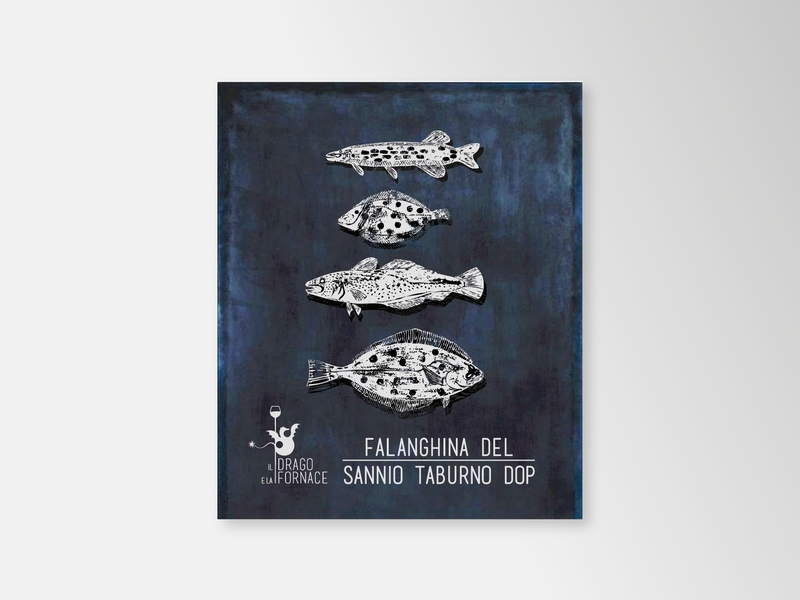 The sea, the dark waters from which silver fishes emerge. 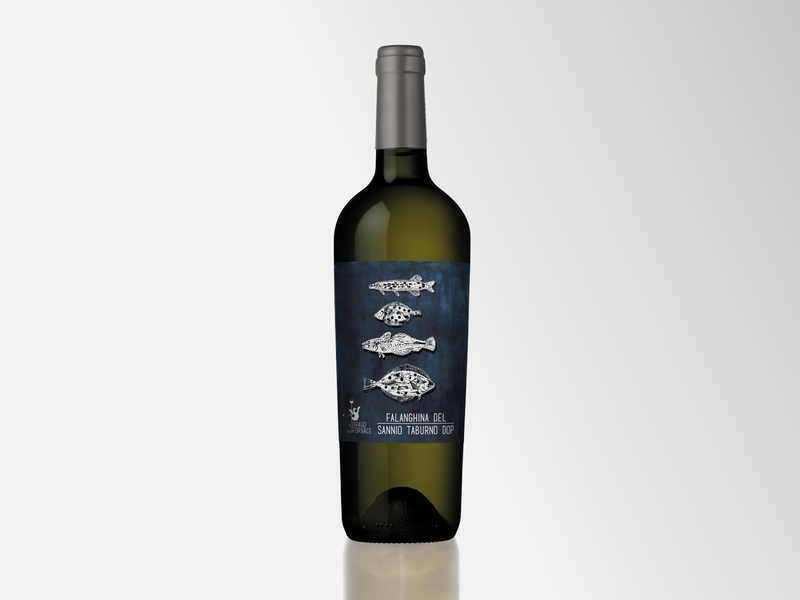 The label is a remind to freshness and, why not, to the taste of this wine that smells of summer. 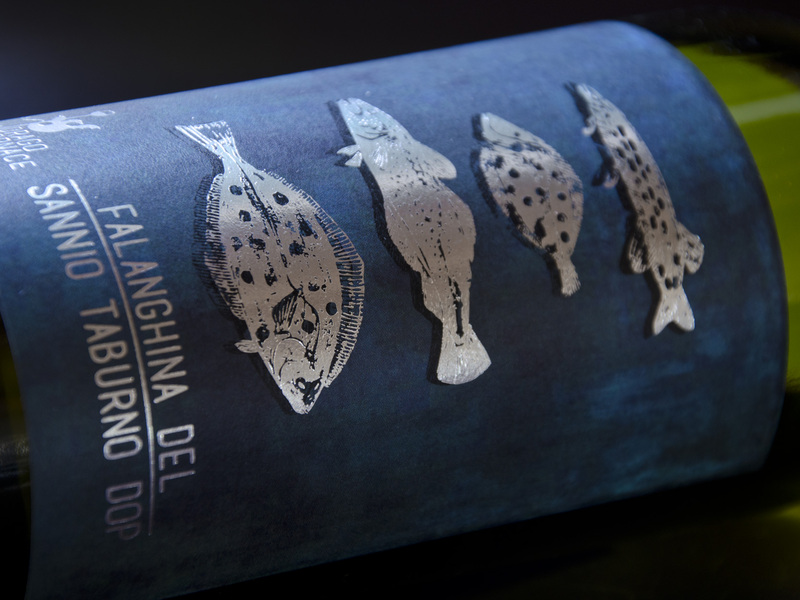 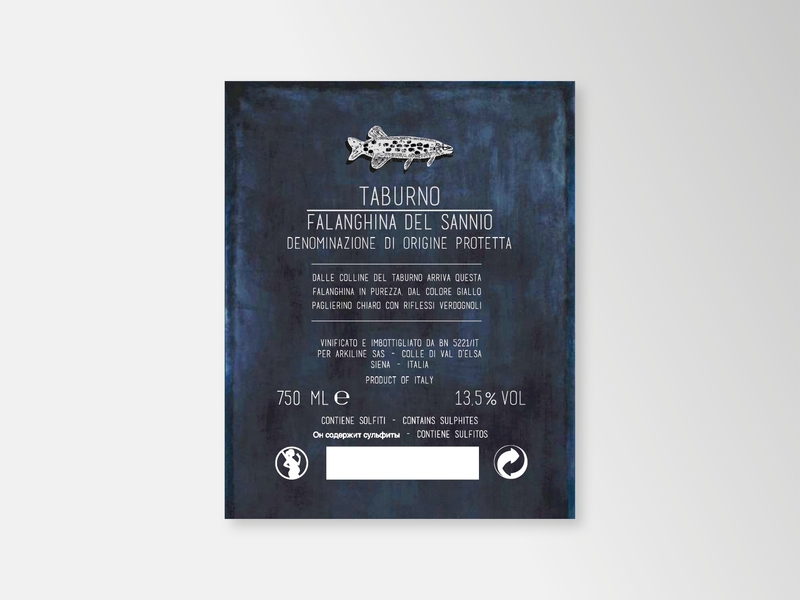 Special paper for white wines, watercolor style print on the background, hot foil silver on the fish, on the logo and on the name.